Everything that goes into the fabrication of commercial truck bodies must be strong and resilient – from the frame to each component. We understand the severe service application your parts must endure for long term success. Providing precise induction heat treating, our team can enhance desired part properties, such as flexibility, strength, and durability. 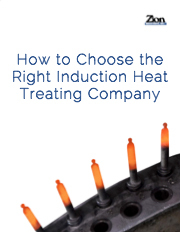 With over 40 years of specialized experience in the induction heat treating field, Zion Industries delivers expert guidance – from part design to materials selection. Working with a reliable, accurate partner helps you deliver better product performance in the field. Our services reinforce mechanical properties, and extend wear and fatigue life. Zion Industries provides certified, high-quality induction heating solutions in a variety of metal heating applications, including Hardening, Brazing, Annealing, and Tempering. With facilities in Ohio, Michigan and North Carolina, we can service your high-volume needs with on-time project delivery. Contact us to learn more about services or share a specific project.